Ohio Mayor's Courts are state courts in Ohio created by some municipalities. The Mayor's Courts hear traffic cases, violations of city ordinances and other misdemeanors. The presiding officer is a magistrate (not a judge) appointed by the mayor and paid by the city or village. Mayor's Courts are not considered trial courts or courts of record and are not subject to the supervision of the Ohio Supreme Court. Mayor's Courts are not authorized to conduct jury trials. If a defendant is entitled to and desires a jury trial then the case is transferred to the jurisdiction's trial court (Municipal Court or County Court). Depending on where you were arrested and what you were arrested for, your case may be handled in Mayor's Court. Mayor's Courts handle DUI and traffic violations, as well as marijuana possession charges and some other misdemeanors. Q: I have been told to appear in mayor’s court. What is a mayor’s court? A: A mayor’s court handles misdemeanors and traffic violations in Ohio communities with no municipal court of record and populations of more than 200 people. Mayor’s court hearings are held before the mayor or a magistrate. Cases are handled locally and some mayor’s courts are held in the evening for the convenience of the parties. Most mayor’s courts employ magistrates, who are lawyers, rather than to have the mayor actually decide cases. The magistrate must be a lawyer with at least three years of experience. Q: What are some advantages and disadvantages of having a case heard in a mayor’s court? A: An advantage to having a case heard in a mayor’s court is that the hearings are more informal and conveniently located than municipal court, although the defendant still has access to a public defender and translator if needed. Hearings are often held in the evenings so that people don’t have to miss work to appear. Mayor’s courts impose similar penalties as municipal courts, including fines and jail time. Q: Do mayor’s courts have jurisdiction over drunk driving? A: Yes, the mayor or magistrate has jurisdiction over OVI (drunk driving) cases as long as the defendant has not previously been charged, convicted, or pleaded guilty to a similar offense within the prior six years. The mayor or magistrate with proper training also has jurisdiction in cases alleging driving under OVI suspension or "FRA" suspension (for failure to carry auto insurance indicating financially responsibility). Q: What other types of cases can a mayor hear? A: A mayor or magistrate sitting in mayor’s court generally hears cases involving violations of municipal ordinances, including parking, standing and moving vehicle violations. Q: What types of cases can a mayor’s court not hear? A: The mayor’s court cannot hear cases involving suspected kidnapping, domestic violence, more serious assault charges, aggravated trespass cases, and violation of protective orders (even if they are charged as misdemeanors). The court also has no jurisdiction over felony cases of any type. Q: If I am unhappy with the outcome at mayor’s court, what can I do? A: You must file a notice of appeal with the mayor’s court within ten days of the judgment. Your case then will be transferred to the municipal court or county court in your county and will be heard by a judge. The judge will not consider the previous decision of the mayor’s court when hearing your case. If you have a case in one of these Franklin County Mayor's Courts or any other Mayor's Court, call us locally at 614-333-6007 or toll free at 888-294-9687 for a free consultation. The rules of procedure in Mayor's Courts are not the same as in municipal courts. The attorney you should choose should understand the nuances of this court. We know the rules, and we are familiar with the prosecutors and magistrates who practice in these courts. 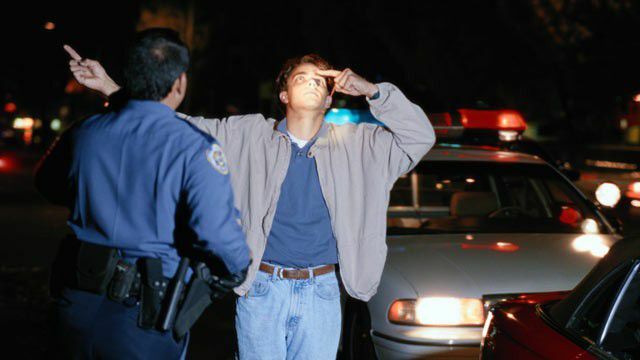 Nemann Law Offices can help you with your DUI charge, traffic offense or other misdemeanor in Mayor's Court. *Attorney Adam Nemann formerly worked as a prosecutor in the central Ohio mayor's court system. You need an aggressive defense if you have a traffic violation or misdemeanor that will be handled in Mayor's Court. Contact us today for a free consultation with any of our attorneys.